With Justin Hache on the roster and down two forwards from the trade yesterday, Texas made some moves today ahead of their weekend set against San Antonio. First, they assigned Brandon Anselmini to the Steelheads. Second, Texas recalled Miek McMurtry, who has been playing well in Idaho at a point per game pace (1-4=5 in 5 GP). 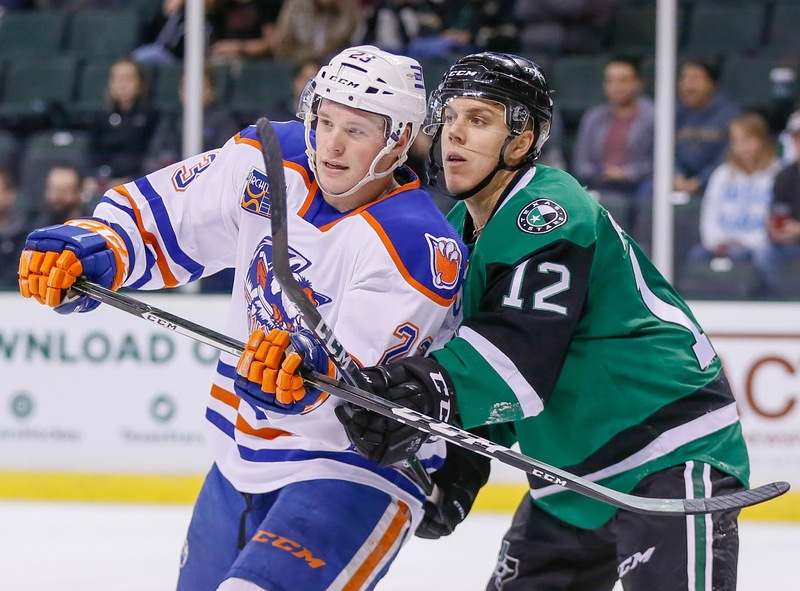 The Texas Stars, American Hockey League affiliate of the NHL’s Dallas Stars, announced Thursday the club has assigned defenseman Brandon Anselmini and recalled forward Mike McMurtry from their ECHL affiliate, the Idaho Steelheads. Anselmini, 23, has appeared in 10 games this season with Texas and tallied three assists. The 5-foot-10, 185-pound defenseman has 12 points (2-10=12) in 24 games this season with Idaho. Anslemini (an-suhl-MEE-nee) was an undrafted free agent signed by Texas over the offseason after a four-year career at Ferris State University. McMurtry, 24, has tallied 10 points in 26 games this season with Texas (5-5=10) and five points in five games with the Steelheads (1-4=5). The 6-foot, 180-pound forward is currently in his rookie season after finishing up a four-year career at Northeastern University last year. The Greely, Ontario native recorded 80 points (20-60=80) in 141 collegiate games before beginning his professional career with the Stars.